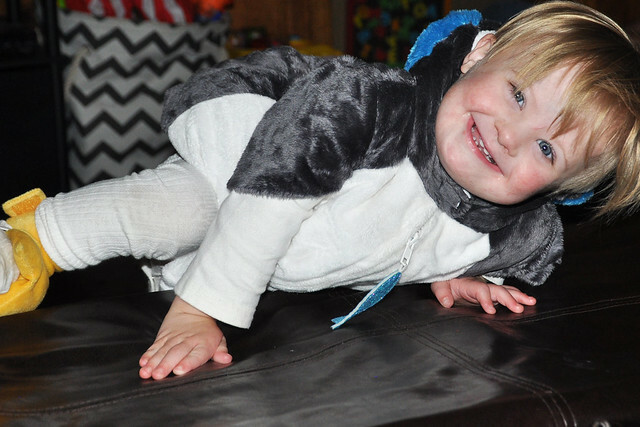 Halloween was an absolute whirlwind. October seemed to fly by and we had to race to cram in all of our usual Halloween activities! 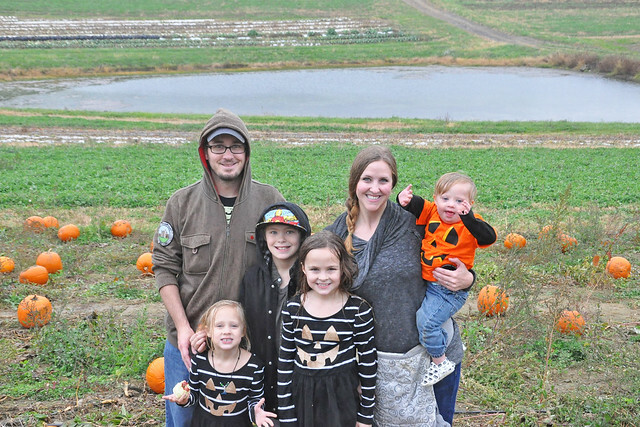 We managed a last minute visit to the pumpkin patch. 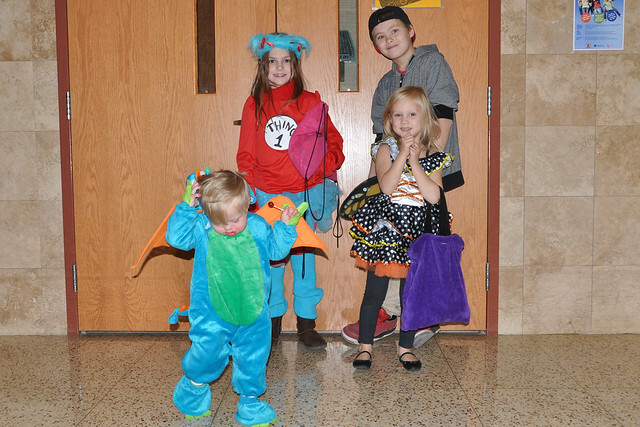 We went trick-or-treating at the VERY crowded high school. I volunteered at Dylan's 5th grade party. It was a big change from the usual class parties. 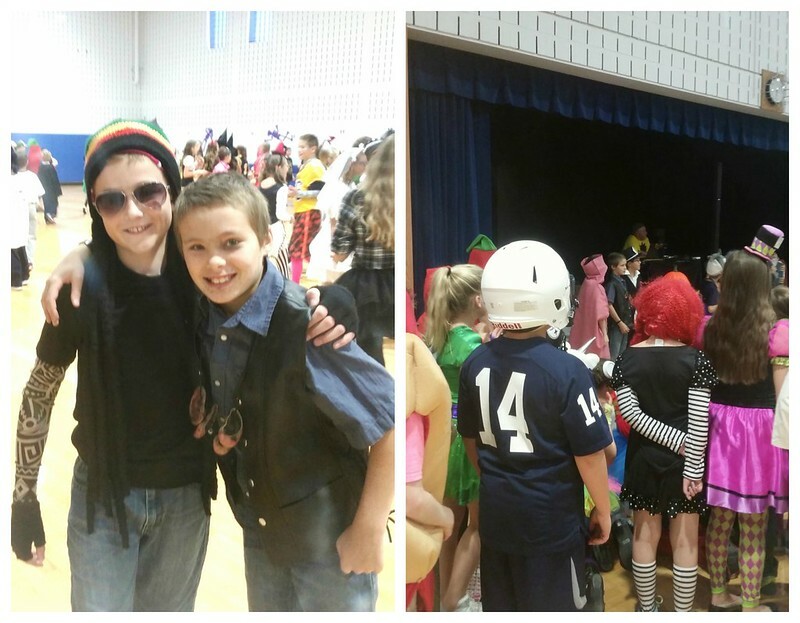 The party was held in the gym and cafeteria, and the entire 5th grade partied together. It was unbelievably loud. Dylan didn't want me to take pictures, so all I have is the one picture he let me take and a picture of him in the costume contest. I planned Lexie's class party and coordinated all the donations. It was time-consuming, but the party went perfectly! The two other moms I worked with were awesome. I'm so glad I got to spend the afternoon with Lexie and her classmates! I volunteered at Lily's very first school party. 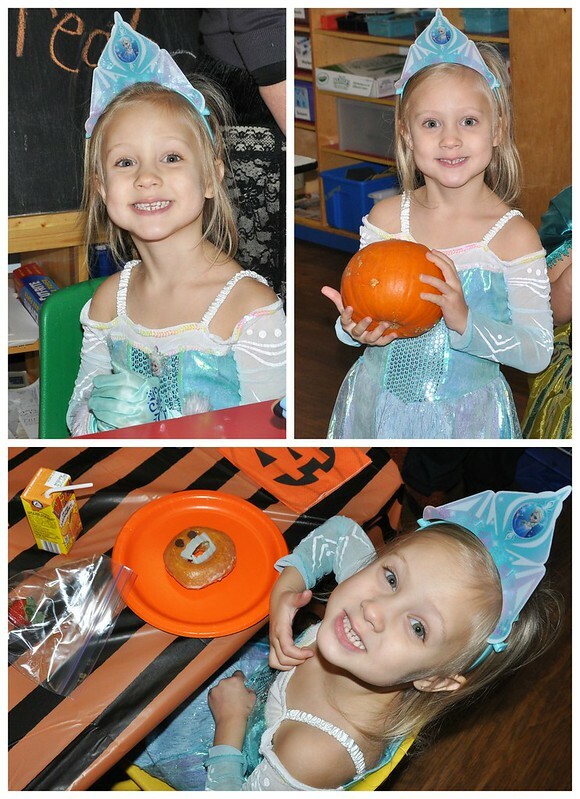 She had a last minute costume change to Elsa, of course. She had a great time! FINALLY, we made it to Halloween! 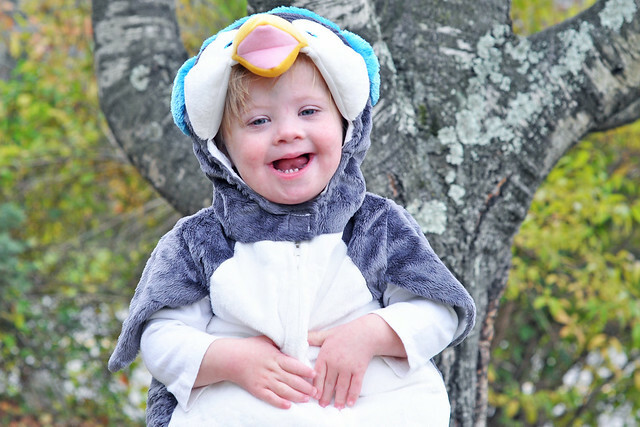 We kicked of the day with Liam's last mini-photoshoot for Down Syndrome Awareness Month. He looked too cute in his costume! Thanks to our constant busyness, pumpkin carving had to wait until that afternoon. 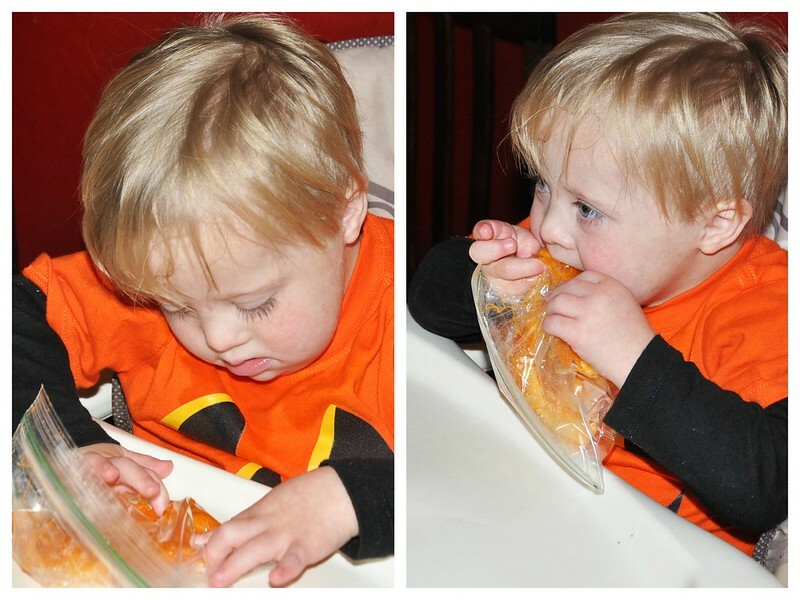 We gave Liam a "pumpkin guts" sensory bag, but it didn't last long! We only carved one of our pumpkins. We got it done JUST in time! For the first time in 3 years, it wasn't raining on Halloween! It wasn't chilly, either. It almost didn't feel like Halloween without the rain! 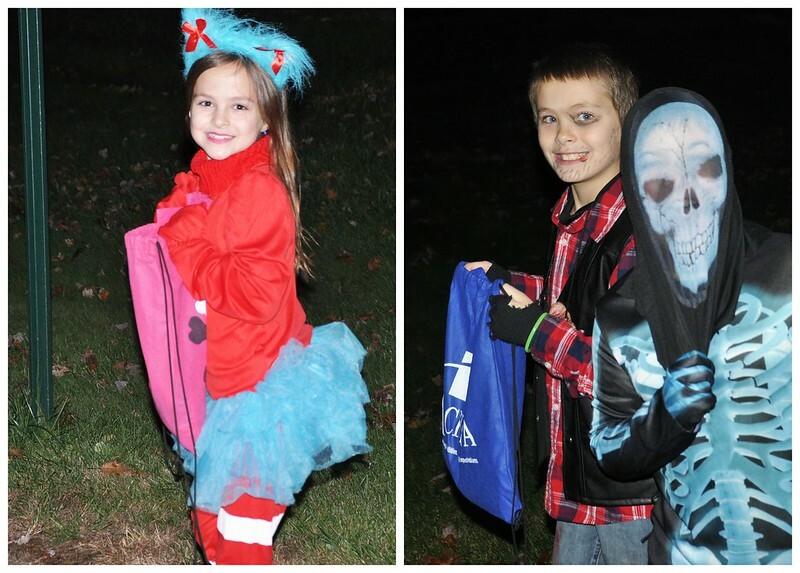 Trick-or-Treating is SO much better when the weather cooperates! 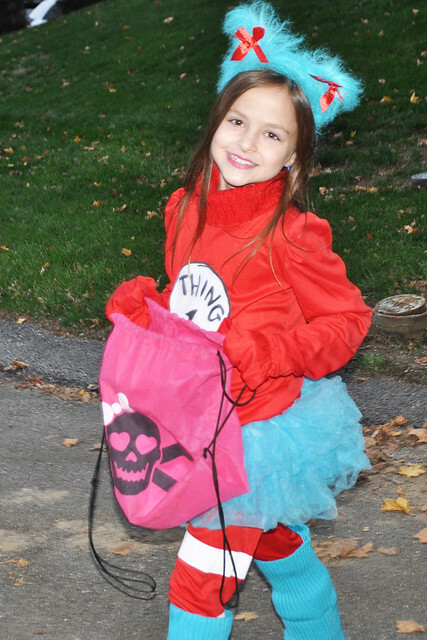 Daryl from The Walking Dead led our pack, and he was followed by Thing 1 (Thing 2 didn't have time to put her costume together...oops! 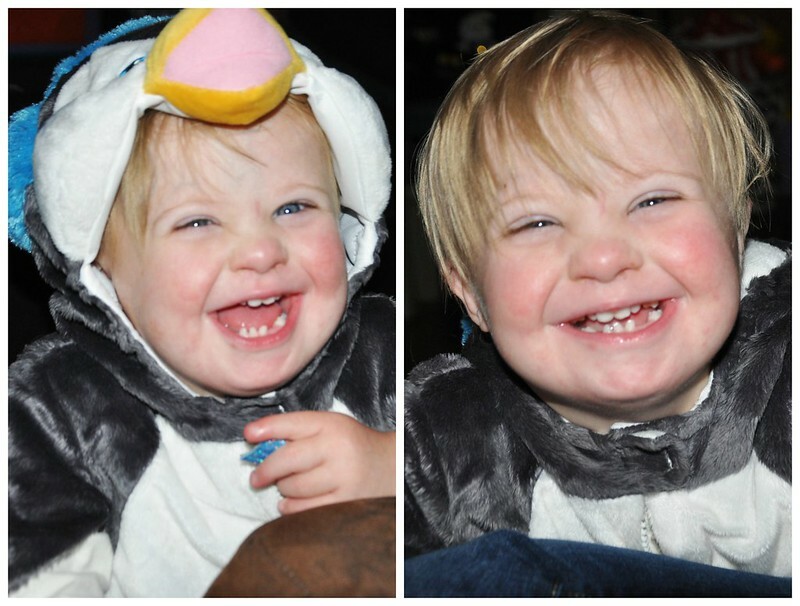 ), a Butterfly Fairy, and a penguin. We make our own theme! Trick-or-Treating with Lily is very entertaining. Seriously, that kid is destined to be an actress or perform on Broadway! At every house, she sang, "Trick or Treat, THANK YOU! 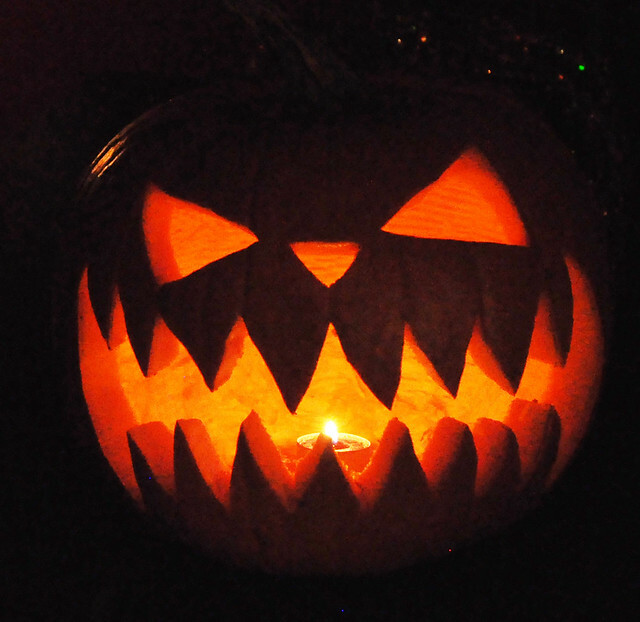 Happy Halloween!" Upon arriving at the awesome haunted house in town, she spotted all the monsters strolling around the yard trying to scare the kids. She was genuinely scared, but screamed "I HATE HALLOWEEN!" in the face of each monster who tried to scare her. As we walked away, she went back to singing a song about a spooky Halloween night. The song lasted for over a block, and she even sang it to the people handing out treats. And, just for the record, don't tell her she's a beautiful butterfly. 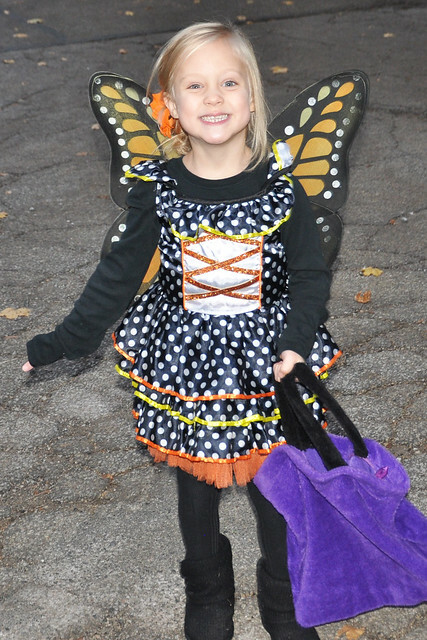 She will promptly correct you by saying, "I'm not a butterfly. I'm a FAIR-WEE!" Dylan and Lexie are pros at Trick-or-Treating, and moved very quickly, but Lily lagged behind. She had no problem doing it alone! Liam wasn't the least bit interested. He spent a little bit of time in the stroller, but I mostly carried him. If I put him down, he ran! 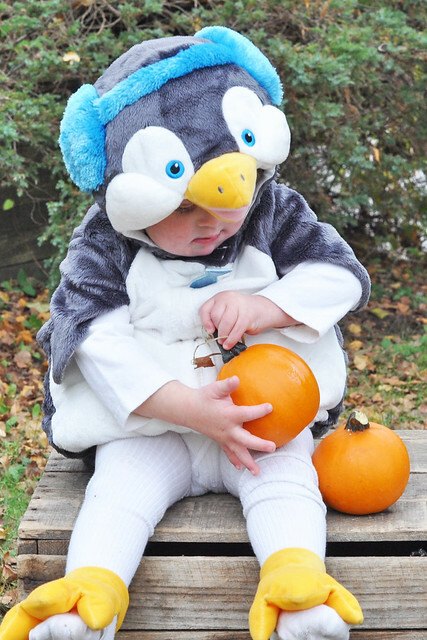 He was pretty much the cutest penguin ever! We lasted about an hour and a half before heading back to Grant's mom's house. 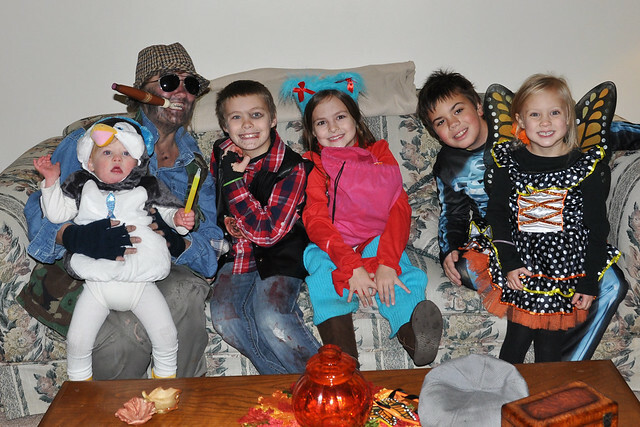 The kids were tired, but they got a lot of candy, so they were happy! We returned home, and a few friends stopped by. The big kids ran off to play while Liam hammed it up. 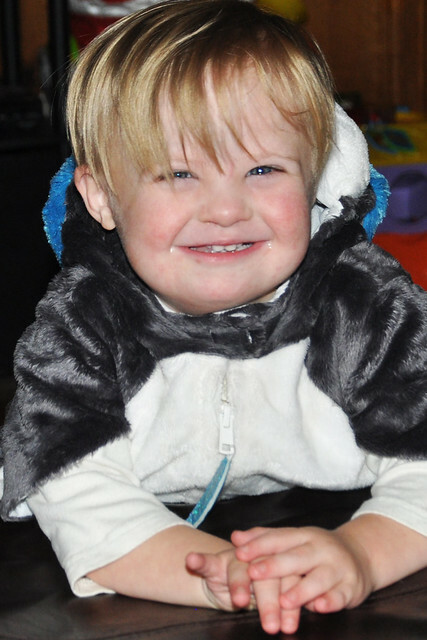 I would blame his excessive happiness on all the candy, but he really didn't have more than a piece or two! It was a great night and their smiles say it all! 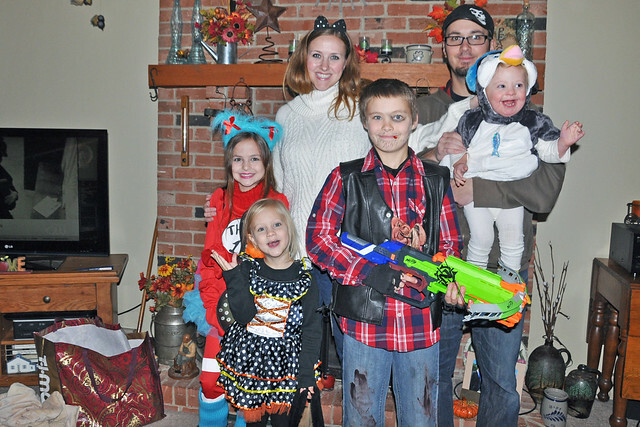 We had a wonderful Halloween! Linking up with Sweet Turtle Soup! They all look adorable. You definitely had a busy October. Thank you so much! We sure did. I'm hoping this month is calm! Thank you! There were a few local communities that did that here. So strange! I'm sorry you had to skip it! Thank you! Way to go, Ohio! I hate when they hold Halloween on a different night. No fun! 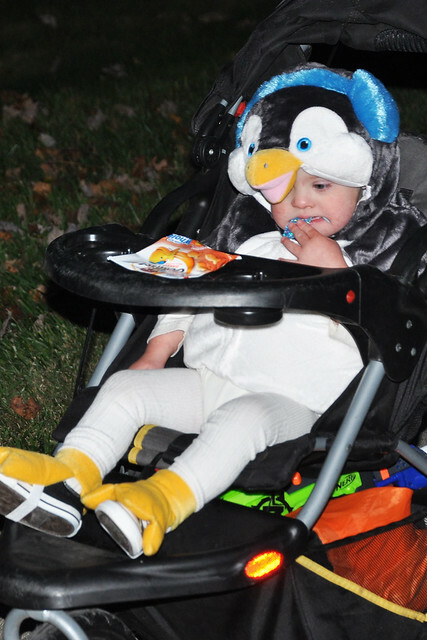 Oh my goodness, Liam's penguin costume is precious! He looks adorable in it! Looks like you guys had a wonderful Halloween! Thank you so much! I found it at TJ Maxx for less than $20. SOLD! Looks like you all had so much fun! 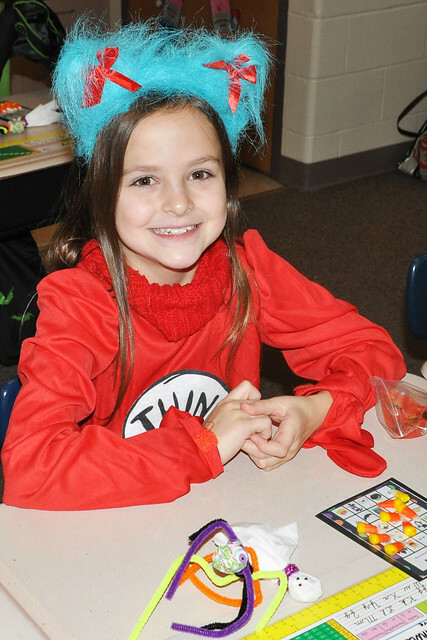 Karsyn changed her costumed throughout the week too. I guess it's a 4 year-old thing. ha! Haha! I'm glad it wasn't just Lily. She's my only kid who ever changed her mind about her costume! 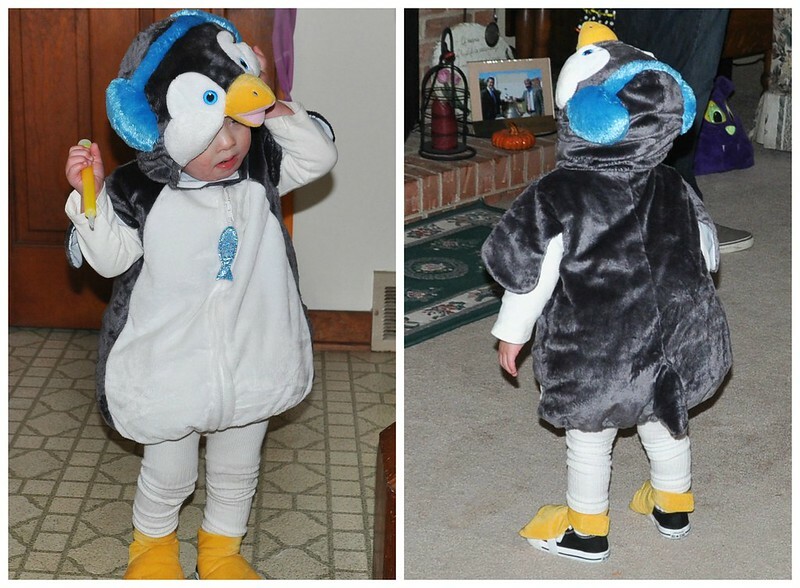 Liam looks adorable in his penguin costume!! And your girls are so beautiful!! Thank you so much, Brooke! I'm glad you had fun despite the rain! Love love love this! 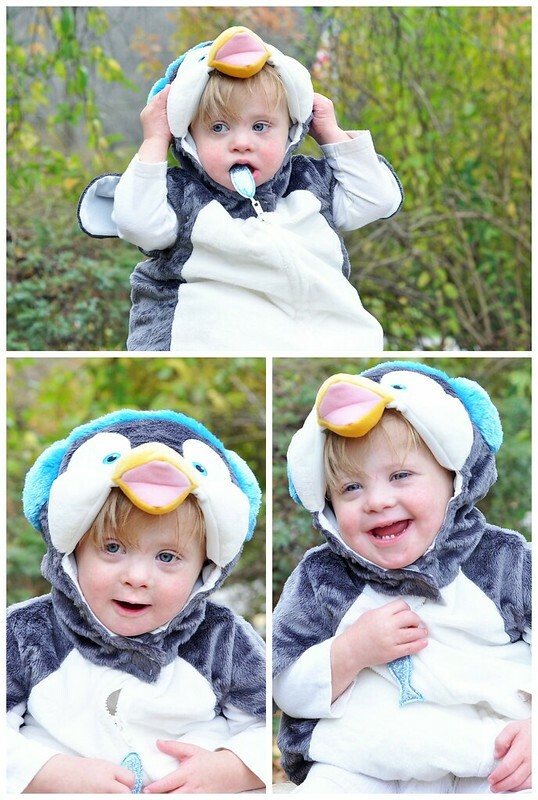 Great costumes for everyone! 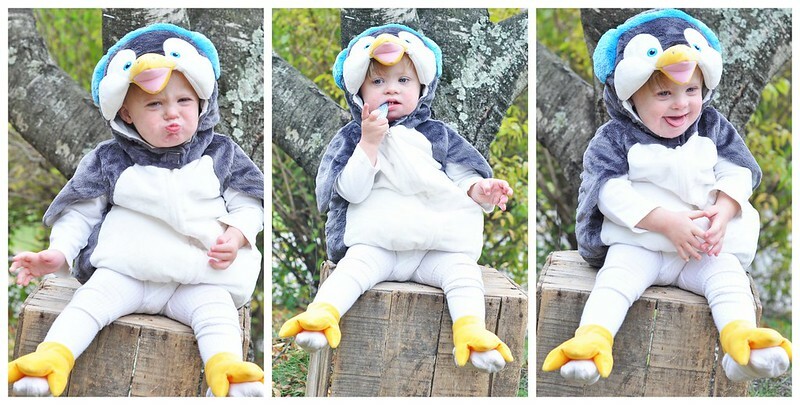 Cutest little penguin I ever did see! And I want that butterfly costume for myself! Isn't Halloween the best?! What a great crew! Liams costume is just the sweetest. Did he bite into that sensory bag? 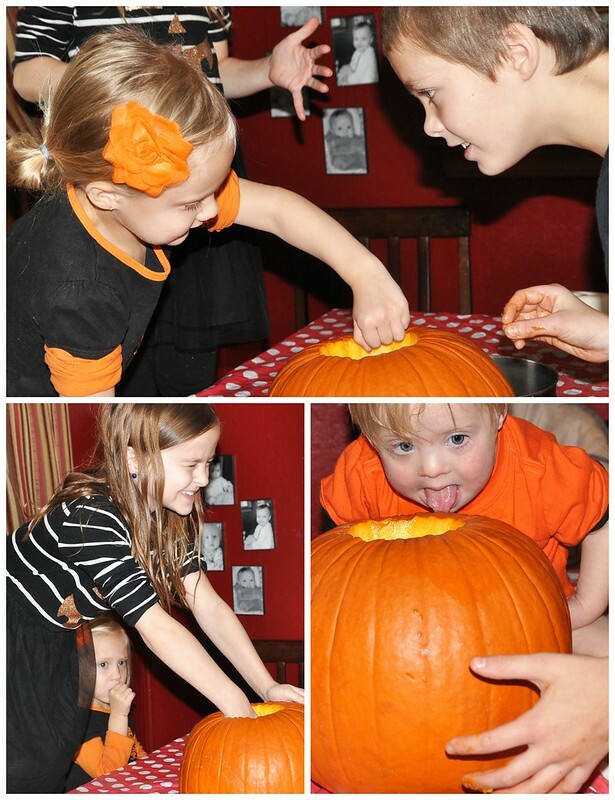 haha the photo of him licking the pumpkin seems about right. Oh those silly kiddos want to put everything in their mouths. So funny. Thank you! Oh, he totally bit into the bag. I don't think he liked what he tasted! Awww! 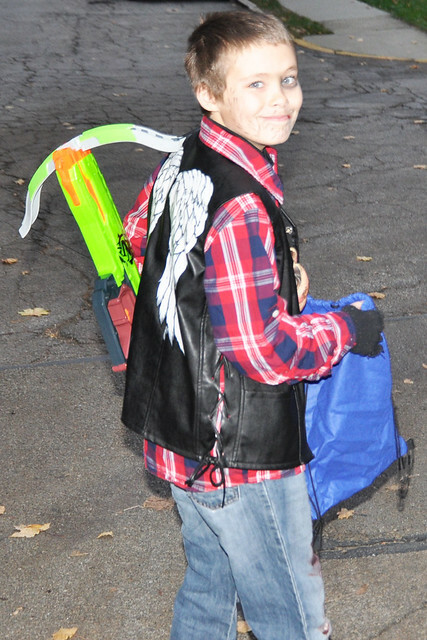 That's awesome that he was so excited about his costume!!! All beautiful costumes! and the coolest one is Liam! I love the way he smiles! I love Liam indeed!